Denny is a very tactile bear, as his coat is made up from lots of different plush materials, that all have different textures and lengths, making him a very interesting panda. 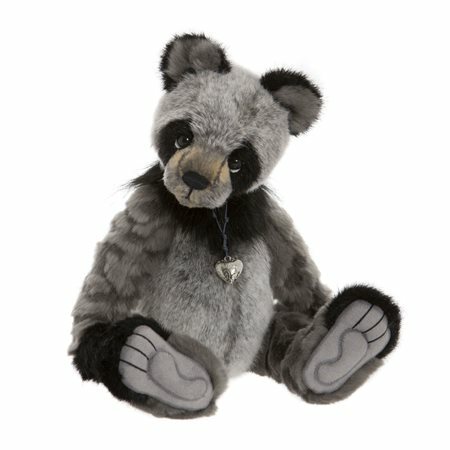 The fur colours are lovely combinations of grey and black that complement each other well and he has some lighter brown fur on the muzzle to highlight his dark hand-stitched nose. He has sculpted and stitched pads and his big panda eyes have a wistful expression, created by the white felt backing.